De-extinction، also called resurrection biology، the process of resurrecting species that have died out، or gone extinct. Although once considered a fanciful notion، the possibility of bringing extinct species back to life has been raised by advances in selective breeding، genetics، and reproductive cloning technologies. Key among those advances was the development in the 1990s of a technique known as somatic cell nuclear transfer (SCNT)، which was used to produce the first mammalian clone، Dolly the sheep (born 1996، died 2003). In 2009، using SCNT، scientists very nearly achieved de-extinction for the first time، attempting to bring back the extinct Pyrenean ibex (or bucardo، Capra pyrenaica pyrenaica). A clone was produced from preserved tissues، but it died from a severe lung defect within minutes of being born. The near success of the attempt sparked debate about whether species should be brought back from extinction and، if they are brought back، how it should be done and how the species should be managed. The candidate species for de-extinction are many. Some high-profile examples include the woolly mammoth (Mammuthus primigenius)، the passenger pigeon (Ectopistes migratorius)، the thylacine (Thylacinus cynocephalus)، and the gastric-brooding frog (Rheobatrachus silus). De-extinction does not extend to dinosaurs، partly because of the extreme old age of specimens and the severe degradation of DNA over time. The possibility of bringing extinct species back to life was first explored in the early 20th century، through an approach known as back breeding (or breeding back). Back breeding، for the production of a breed that displays the traits of a wild ancestor، is based on the principles of selective breeding، which humans have used for centuries to develop animals with desired traits. In the 1920s and ’30s، German zoologists Lutz and Heinz Heck crossbred different types of cattle in an attempt to back breed for an animal that resembled the aurochs (Bos primigenius)، an extinct species of European wild ox ancestral to modern cattle. The Heck brothers crossbred modern cattle based on historical descriptions and bone specimens that provided morphological information about the aurochs but had no insight into the animals’ genetic relatedness. As a consequence، the resulting Heck cattle bore little resemblance to the aurochs. In the latter part of the 20th century، tools emerged that enabled scientists to isolate and analyze DNA from the bones، hair، and other tissues of dead animals. 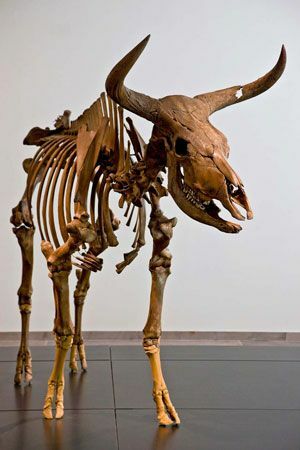 Coupled with advances in reproductive technologies such as in vitro fertilization، researchers were able to identify cattle that are close genetic relatives of the aurochs and combine their sperm and eggs to produce an animal (the so-called tauros) that is morphologically and genetically similar to the aurochs. Other advances in genetic technologies have raised the possibility of inferring and reconstructing the genetic sequences of extinct species from even poorly preserved or cryopreserved specimens. Reconstructed sequences could be compared against the sequences of extant species، allowing for the identification of not only living species or breeds best suited for back breeding but also genes that would be candidates for editing in living species. Genome editing، a technique of synthetic biology، involves adding or removing specific pieces of DNA in a species’s genome. The discovery of CRISPR (clustered regularly interspaced short palindromic repeats)، a naturally occurring enzyme system that edits DNA in certain microorganisms، greatly facilitated the refinement of genome editing for de-extinction. Cloning for de-extinction has centred primarily on the use of SCNT. SCNT entails the transfer of the nucleus from a somatic (body) cell of the animal to be cloned into the cytoplasm of an enucleated donor egg (an egg cell that came from another animal and that has had its own nucleus removed). The egg cell is stimulated in the laboratory to initiate cell division، leading to the formation of an embryo. The embryo is then transplanted into the uterus of a surrogate mother، which in the case of de-extinction is a species closely related to the one that is being cloned. In the attempt to resurrect the extinct Pyrenean ibex in 2009، researchers transferred nuclei from thawed fibroblasts of cryopreserved skin specimens into enucleated eggs of domestic goats. The reconstructed embryos were transplanted into either Spanish ibex or hybrid (Spanish ibex × domestic goat) females. It may also be possible to use stem cells to resurrect extinct species. Somatic cells can be reprogrammed through the introduction of specific genes، creating so-called induced pluripotent stem (iPS) cells. Such cells can be stimulated to differentiate into different cell types، including sperm and eggs that potentially can give rise to living organisms. Similar to the other techniques of de-extinction، however، the success of an approach based on stem cells depends largely on the quality of DNA that is available in preserved specimens. Cloning، stem cell manipulation، genome reconstruction، and genome editing are powerful technologies with significant ethical ramifications when applied to de-extinction. The expense and inefficiency of SCNT، for example، has raised questions about its practicality for resurrecting extinct species. Perhaps the greatest concern، however، is the potential of those technologies، as well as back breeding، to alter the course of natural history. De-extinction provides an opportunity for humans to rectify past harms inflicted on other species، as well as to expand species diversity. 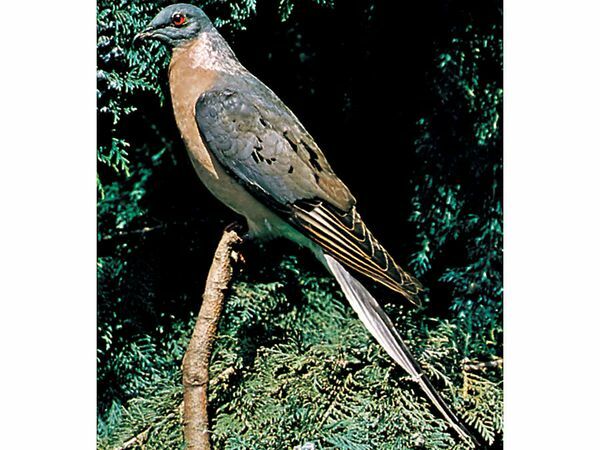 But many extinct species were driven out of existence as a result of habitat loss، and others lived in habitats that have since been altered dramatically. In addition، in the near term، resurrected species would be considered endangered and would therefore require conservation، for which resources often are constrained or lacking. De-extinction، by providing the option to bring species back later، also could have the unintended consequence of condoning extinction and could give impetus to endeavours that threaten biodiversity. Other concerns include unknowns about the fate of resurrected animals، from the health of cloned individuals to whether the animals would be able to adapt to current environmental conditions and whether they would be able to produce viable offspring. The classification of species revived through back breeding، cloning، or genetic reconstruction، all of which could involve divergence from an extinct species’ original genetic constitution، also remains uncertain. The potential to be leveraged as a means of advancing financial and commercial interests has led some to question the motivation of researchers and companies behind certain de-extinction projects. Nonetheless، de-extinction has helped fuel important progress in science، building particularly on knowledge in developmental biology and genetics. It also has generated interest in endangered species، with many of the tools of de-extinction also being applicable to conservation of endangered species. The reconstruction of extinct genes could be used، for example، to restore genetic diversity in threatened species or subspecies.